Simply lovely! 1st floor living at it's finest. Exquisitely remodeled and maintained first floor corner home. Outstanding views and windows galore to flood this home with natural light and ocean views. The kitchen has been remodeled and reflects an updated coastal feel, complete with new cabinets, appliances, counter tops, eating bar, and lighting. It even has a pantry! The master bedroom has a stunning sunrise view to awake to looking through the sliding glass doors, a walk in closet, a completely remodeled bath with frosted glass doors, and a large tiled walk- in shower with seat. Two living areas plus 2 bedrooms and a den complete with bunk beds make this the space you want to call home. Huge ocean front deck, access to ocean views and decks from both bedrooms. Simply take the walkway directly to the beach. Quiet private covered front deck with cozy furnishings. A perfect place to escape the sun and relax with your favorite book. Hurricane shutters on most windows. 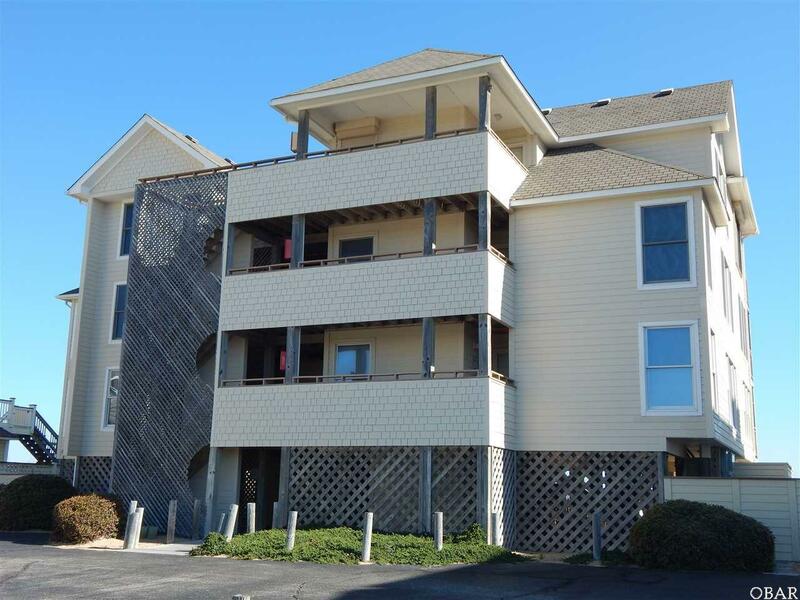 One of the nicest, roomiest condos I've seen with huge oceanfront deck and fantastic views! This is a home to put on the "must see" list. Siding, windows and roof have all been done in the past few years. Association is healthy and professionally managed. Listing courtesy of Stephanie Walker of Stephanie Walker & Associates.